Despite their Cold War rivalry, the United States and the Soviet Union frequently engaged in joint efforts to prevent the spread of nuclear weapons. Leaders in Washington and Moscow recognized that nuclear proliferation would serve neither country’s interests even when they did not see eye-to-eye in many other areas. They likewise understood why collaboration in mitigating this nuclear danger would serve both their own interests and those of the international community. 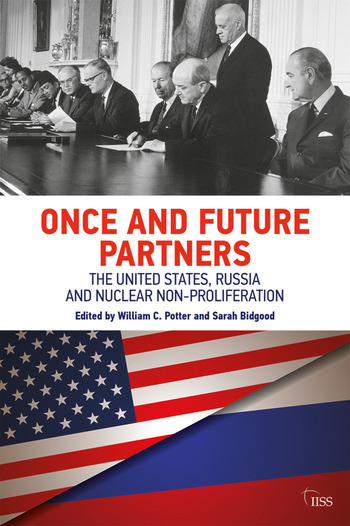 This volume examines seven little known examples of US-Soviet cooperation for non-proliferation, including preventing South Africa from conducting a nuclear test, developing international safeguards and export control guidelines, and negotiating a draft convention banning radiological weapons. It uses declassified and recently-digitized archival material to explore in-depth the motivations for and modalities for cooperation under often adverse political circumstances. Given the current disintegration of Russian and US relations, including in the nuclear sphere, this history is especially worthy of review. Accordingly, the volume’s final chapter is devoted to discussing how non-proliferation lessons from the past can be applied today in areas most in need of US-Russian cooperation. Dr. William Potter directs the James Martin Center for Nonproliferation Studies and is the Sam Nunn and Richard Lugar Professor of Nonproliferation Studies at the Middlebury Institute of International Studies at Monterey. Trained as a Sovietologist, he has participated as a delegate at every NPT meeting since 1995. Sarah Bidgood is a senior research associate and project manager at the James Martin Center for Nonproliferation Studies at the Middlebury Institute of International Studies in Monterey, California. Her research interests include US-Russia relations and the international non-proliferation regime.